First Alert, a company known for safety and reliability, is unveiling its latest Onelink innovations at the 2018 Consumer Electronics Show (CES) in Las Vegas, in order to make achieving a connected home easier and incorporate features for everyday convenience, all accessible via simple voice commands or the Onelink Home app. Below are some of the company’s new product offerings being demonstrated at the CES. The Onelink Safe & Sound is the first announced smoke and carbon monoxide (CO) alarm with a superior home speaker and ability to process voice commands. The device features exclusive voice and location technology to alert users to the type of danger and its location. The 3-in-1 device supports voice control with Amazon Alexa, Google Assistant and Apple HomeKit. 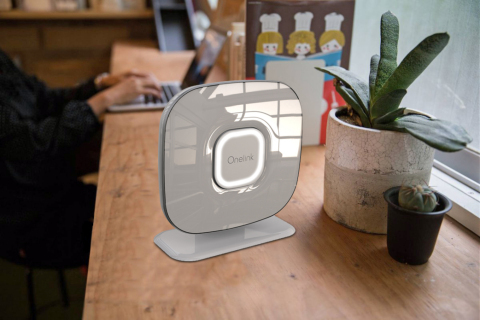 The Onelink Connect is First Alert’s first Wi-Fi mesh tri-band solution, which delivers faster, stronger, more reliable internet throughout the home. The system includes three nodes which can be placed throughout the home. The nodes are in constant communication with one another via a dedicated backhaul, preventing congestion and directing maximum internet speeds to the locations where it’s needed most. Featuring a customizable nightlight, the Onelink Smoke & Carbon Monoxide Alarm is a sleek alarm that works with HomeKit, Alexa and the Google Assistant, that lets users choose their preferred platform to integrate the alarm in their connected home. Both hard-wired with battery back-up and battery-operated versions will be available, with easy adapter plugs to make installation a breeze. To experience the latest from the Onelink portfolio, visit the display at the First Alert booth at CES.